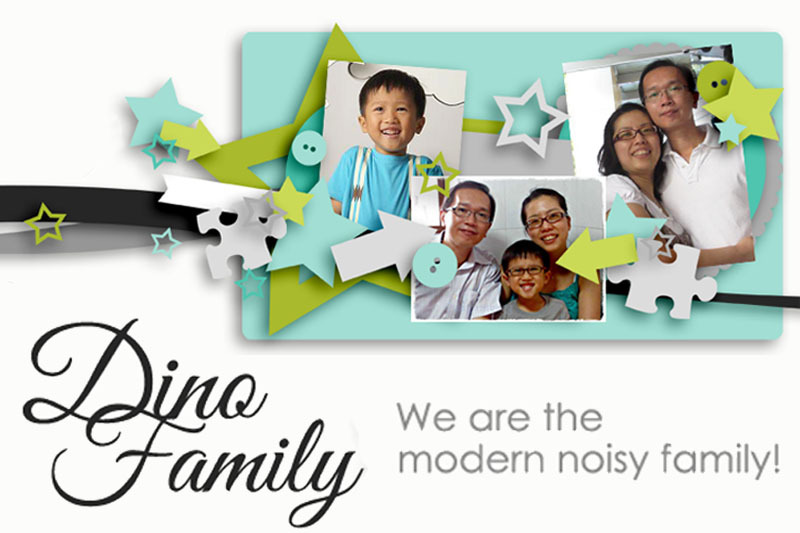 Reposting from DinoMama (an energetic, active and involved Singaporean Mom Blogger), on her impressions of Connected Learning’s lessons. Stay tuned as she details DinoBoy’s journey with us! DinoBoy’s Chinese results have always been borderline and we are having a hard time trying to get him more interested in the language. And as if the heaven heard our prayers, we were approached by a tuition school that conducts tuition online. Yupe you heard me right! I was curious about it too and after watching DinoBoy attended the 1st lesson, I am pretty satisfied with it. I had the pleasure of speaking to one of the partners, Mr Kevin De Souza, to get to know more about Connected Learning. #1 I asked a few parents about online tuition centres, apparently they knew none existed and are not aware of Connected Learning. Could you share with us the history of the school? Not surprising, as online “live” tuition is relatively new here. However, it is fast catching on because it offers tremendous benefits to both students and parents – the students enjoy quality lessons in the comfort of their own home, while their parents don’t have to rush back from work to send them for tuition classes. Although we are a new company, we are lucky to have dedicated and experienced tutors in China in our team. #2 As parents, we are naturally concerned with our children’s academic performance. Should we have to engage tutors to coach them on their work, we are also mindful about the “quality” of the tutors. Could you share with us some of their backgrounds? We have 11 tutors, each tutor is in charge of an educational level. They either have degree in Chinese language or Diploma in primary/pre-school education. They have years of experience in language schools, primary or secondary schools in China, some of them also have years of experience teaching Chinese online. #3 I noticed during my son’s 1st lesson with Connected Learning that the tutor is not local, is there a reason for you to seek tutors from overseas rather than engaging them locally? You are right. Our tutors are from mainland China. What better way to learn Chinese than from native Chinese speakers? As you can imagine, the quality of the Chinese tutors is second to none! #4 I was initially concerned that the tutor will converse in Mandarin with a hint of their hometown accent, but was relieved to hear that she speaks with proper pronounced Mandarin. Is this a specific requirements you want from your tutors? I am glad you noticed. We conduct stringent interviews to ensure that our tutors’ spoken Mandarin is impeccable, and without the slightest hint of their hometown accent. #5 Since the tutors are based overseas, how do you ensure that they are kept up to date with our education system, such as the tests/exams requirements, formats etc. All syllabus and exam formats are available on the MOE website. We will keep our tutors updated if there are any changes. We will also send our local school textbooks and assessment books to our tutors. For our Secondary School tutors, they are required to read our local Chinese newspapers daily so that they are aware of current affairs and culture in Singapore which is part of the Secondary School syllabus. #6 One of the main reason for engaging a Chinese tutor is because our kids are weak in this language. They also have problem expressing themselves in Mandarin and will always switch into the more comfortable English to converse when they can’t find the correct words to use, I know because my son is one of them. Will this cause a communication problem between the tutor and student? Not at all. Our tutors understand that their students may need to communicate with them in English sometimes, and have tools and resources to translate the child’s English words into Chinese. So whilst our tutors will always encourage the child to try to express themselves in Chinese, they will be able to understand the child should the child not know the Chinese words to convey his/her thoughts. #7 How are the lessons being conducted generally? For the lessons, our tutor will revise what your child has learnt in school (using the school textbook) and explain the meanings of the words and their usage with examples. Your child will also be asked to do exercises (with guidance and prompting from the tutor) to ensure the child understands what he/she has learnt. These exercises include fill in the blanks, hanyinpinyin, proper character strokes etc. During the lessons, our tutor will also play some Cartoons or songs in Chinese to stimulate the child’s interest. After each lesson, the student will be given spelling to round up the lesson and ensure that the lesson has been thoroughly learnt. #8 I notice that your class sizes are up to 4 students per class. Any advantages in having more than 1 student per class? Our tutors conduct classes ranging from 2 to 4 students and we have seen that a class size of 4 actually has certain advantages over a class size of 1 or 2. The students interact more, are more lively, and more competitive – they will actually race to answer the questions first! #9 Last but not least, parents are struggling to help their kids improve their Chinese, sometimes it is not the strong language for themselves too. Is there any tips that you can share to make it easier for us and in turn help our kids? For parents with Primary School children, we will recommend comics like 我们这一班, 姐妹俩. You could also read magazines such as 大拇指，小拇指 and 小小拇指. The website www.xuele.edu.sg lists all the words your child will need to learn from P1 to P6. For parents with Secondary School children, you may want to watch the daily news @ 10pm everyday on Channel 8 and 前线追踪 Frontline every Friday @ 8pm – 830pm on Channel 8 so as to keep up to date with current affairs and “hot” issues (part of the Secondary School curriculum). You could also read on magazines like 逗号.